Timeline - We're having a timeline of our lives together. Making lots of notes really reminded me what a roller-coaster of a ride we've been on together! So once I'd jotted down the memories I got a stack of 4" x 6" index cards and inked them up to make the aged. I was going to stamp on them, but realised that would be a mammoth task, so found an old-style font on the computer and printed them up. Will hang them all on some twine, and display along with some of my favourite scrapbook pages and a selection of photographs over the years. 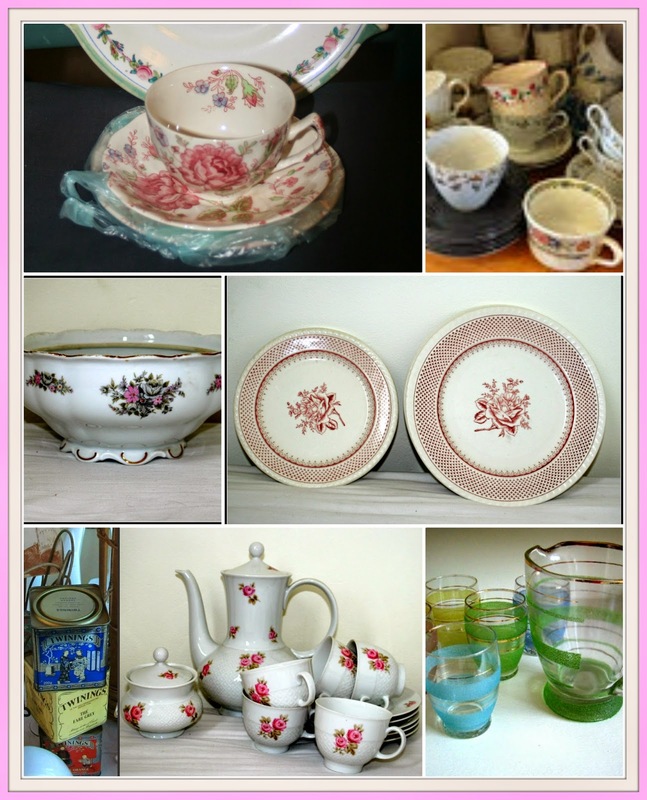 Tea Shoppe - Have been collecting old tea sets, and glass and china cake stands from charity shops and car boots. Also bought some plates and the cake stand stands (don't know what they're called!) so Jeff can make some cake stands too :)As it's a weekend do we thought it would be good to have a central area for chatting and so the Tea Shoppe, Sweetie Bar and Photo Booth will all be in the same area. Cute craft ideas here. You must have so much fun! Thanks for visiting my blog this morning. Delivering some virtual taco soup to you. Enjoy! It sure looks like you are having a blast making all these bits and bobs for the big day! So much fun! I LOVE the timeline idea. 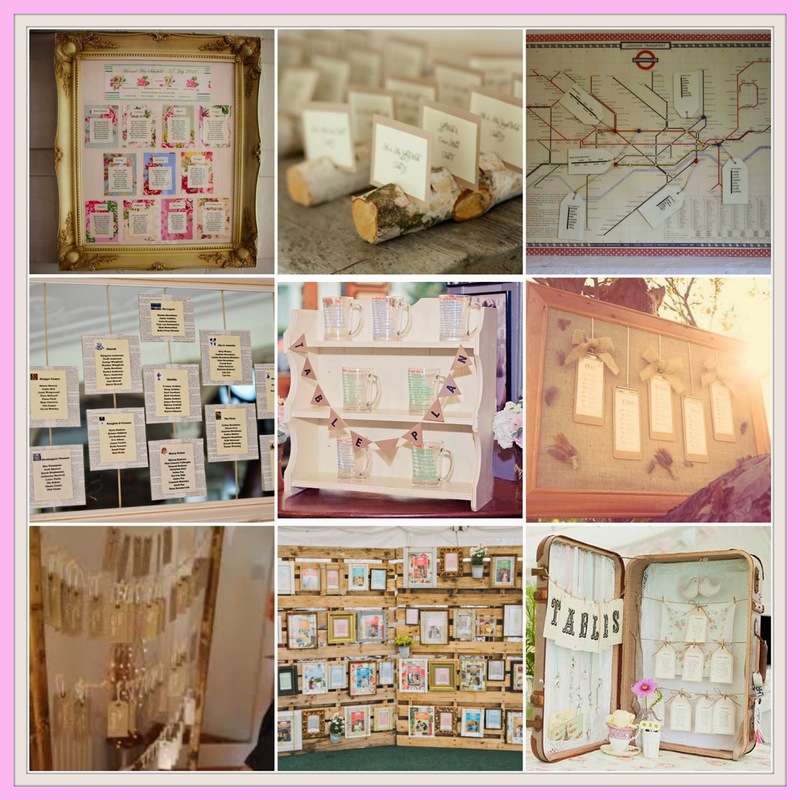 I love the vintage suitcase idea for the table plan!! !